A new wearable device could provide a smarter way for smokers to kick the habit, and now UK based tech firm Sagentia is helping to bring it to market. 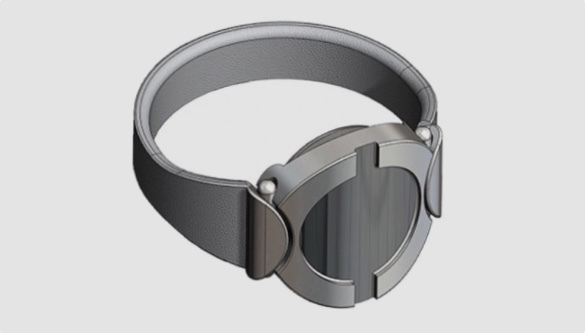 The SmartStop band is a nicotine delivery system that learns when smokers are likely to reach for their cigarettes and provides them with a hit at the right time. The device is meant to be worn 24/7, and therefore negate the problems faced by the current methods of smoking abstinence, which means either getting a constant slow release of nicotine through patches, or a sudden hit using gum. The SmartStop can deliver the nicotine in line with the smokers own habits, which the company says makes it “revolutionary” in the market. Of course, no wearable is complete without a smartphone hook-up, and the StartStop links to an app that provides helpful advice to reassurance to smokers when they need it. Sagentia is based in Cambridge, but has been recruited by Silicone Valley-based Chrono Therapeutics – who originally developed the band – to bring the SmartStop to market. The company was originally involved in creating the concept, but is now working on miniaturising the tech ready for a final release.